New 'Solara' solar panel with intelligent regulator. New Service battery, AGM 220ah for service battery. New electrical panel, with dials and a protection circuit. Newly spray painted topsides with Dupont Marine Paint. Lots of new woodwork and mechanical work. New spray hood and all new interior upholstery. New Waeco refrigerator equipment ( high evaporation compressor). Brand new Raymarine E Series touch screen multifunction display. Gimballed radar antenna on mast. New fibre optic automatic bilge pump. New Matrix AIS Marine radio GX 2100. New engine auto fire extinguisher and serviced interior extinguishers. This yacht comes onto the market in tragic circumstances. The vendor passed away just as he completed a branch and root upgrade of this yacht. Rival yachts have a strong following. 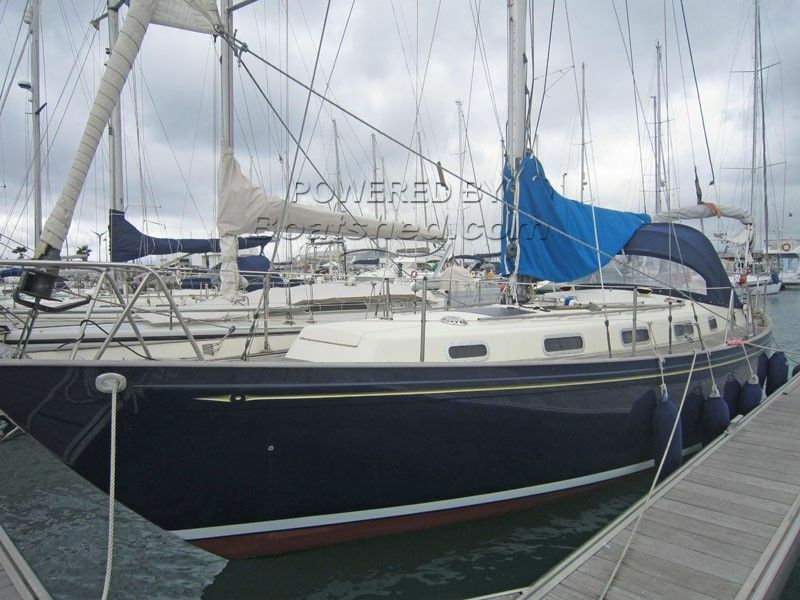 I have rarely seen such a beautiful and well spec'd boat come on the market. A viewing is strongly recommended. This Rival 38 has been personally photographed and viewed by John & Lynda of Boatshed Gibraltar. Click here for contact details.